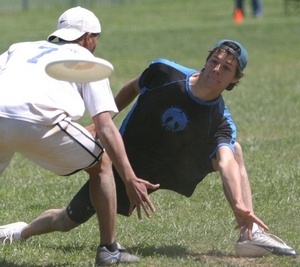 Nick Kaczmarek began playing Ultimate as a junior in High School. Since then, he’s risen to the top both as a player and a coach. 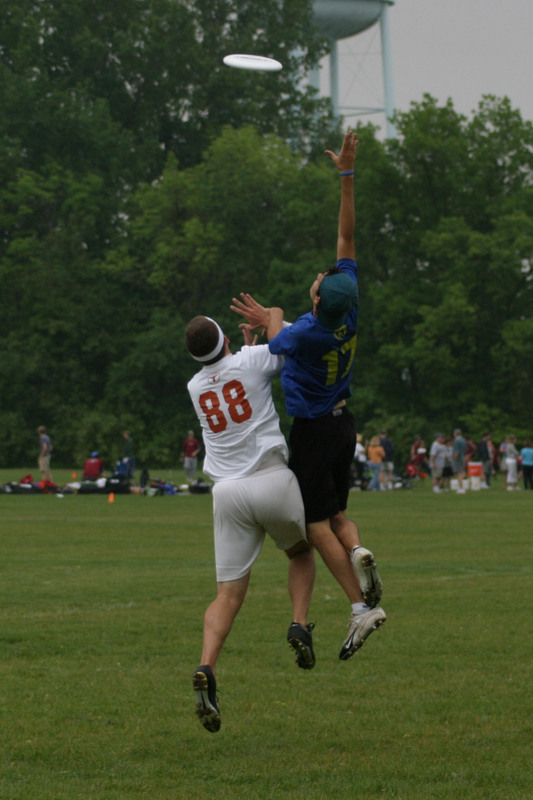 During his time as a member of the Pitt Ultimate team, Coach K helped the squad reach Nationals and break into quarterfinals. During his senior year (fifth year?) as captain, Coach K led the team against what would soon be their biggest rival, Carelton. Despite falling 16-14 in the game of the tournament, Pitt proved they could hang with the best as the rest of the country sat back and watched CUT coast to the finals and a Nationals victory. A few years (and a few losses to CUT) later, Nick had the privilege of coaching Pitt back from an 8-3 deficit against Carelton in the semi-finals of Nationals. “My most memorable moment as a coach was watching Julian Hausman’s huck to Trent Dillon fly through the air, resulting in our first lead in the Carleton semifinal in 2012,” Kaczmarek remembered. That throw ended up leading to Pitt’s first Nationals win over Carelton, and their first appearance in finals. They want on to win nationals as Coach K was named USAU Coach of the Year (not for the last time) in his rookie campaign. Q: You have one meal left on earth, what is it? 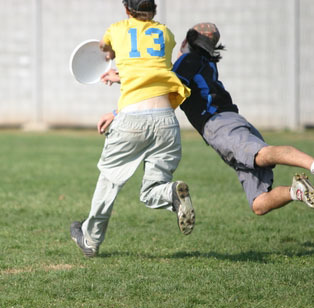 Pittsburgh Ultimate deserves to be on everyone’s map as a championship city. There is too much talent, determination, and character in this city and, specifically, on this team for anything less to be acceptable. This team, this sport – its my life and its my college experience and I wouldn’t give back a second of it for something else. Let’s be honest, did anyone have Pitt in the national final? In his seventh season as Pittsburgh’s head coach, Nick Kaczmarek probably faced his biggest challenge in 2018. Pitt had to replace seven starters, including five veterans from 2017’s formidable defensive unit. They kicked off the spring with a subpar performance at Queen City Tune Up. The potential for a bleak, forgettable year seemed possible. Yet somehow Pitt rode the ninth seed at Nationals all the way to the final. Kaczmarek created the right conditions for an unusually long growing season, producing The Program’s third trip to the national championship game. Pitt had slowly rounded into some semblance of their classic form by regular season’s end. But much of what got them to the level we saw at Nationals had to do with Kaczmarek’s institutional knowledge of how to maximize the layoff between Regionals and Nationals. During a tricky time of year when school is out of session, he knows how to maintain quality practices and ramp up for the culminating event. At Nationals, Pittsburgh was unmatched in terms of their preparation. Kaczmarek is a known film junkie, and tape study is a critical part of his players’ game planning. You can hear Pitt’s sideline helping their D-line, not just with pointing out the “shooters” but in unison calling out the preferred break of the player with the disc. In a college ultimate world of clichés and coaching platitudes about being “only focused on ourselves,” Pitt’s coaching staff embraced opponent-specific adjustments. The starting lines – both offensively and defensively – varied game to game depending on matchups. That preparedness was on display as Pitt made their Cinderella run to the final. The offense didn’t surrender a break in two critical games, against Washington to take the pool and against Wisconsin in quarterfinals. Their once gutted D-line was one of the most cohesive units in the country at season’s end, as they put the screws to #1 Carleton and some of the most polished players in the division. It all came together in the end – Pitt peaked at exactly the right time. They had their work cut out for them this spring, but Kaczmarek and assistants Marcus Ranii-Dropcho and Colin Conner took what could have been a year to forget and made it one of the program’s most memorable. For that, Kaczmarek earns his second consecutive College Coach of the Year award. In almost every sport, there is that coach that could win Coach of the Year every season and it wouldn’t really be wrong to give it to them. Gregg Popovich. Bill Belichick. Geno Auriemma. 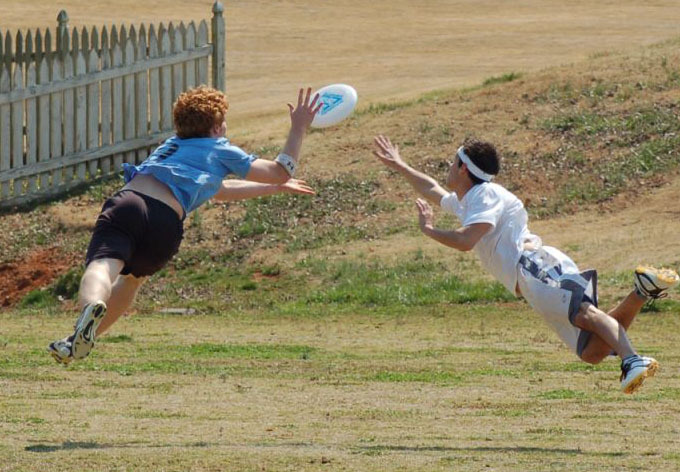 In ultimate, it’s Nick Kaczmarek. Kaczmarek must have laughed at that. Pittsburgh destroyed any idea that they might not be one of the best teams in the country – again – by winning the Stanford Invite and entering Nationals with the #2 overall seed. For the ninth straight year, they reached the quarterfinals. And Kaczmarek’s leadership was what brought them there. He led the team to embrace a ‘no stars’ mentality, and they got contributions from up and down their roster, even in their narrow quarterfinals loss to Massachusetts. While UMass shortened their rotation considerably, Pitt got two breaks from their second D-line to close the gap in the first half. He is so beloved by his players that they write articles about him and many Pitt players have told me he is the best coach they’ve ever played for, without question. In 2017, he silenced anyone who thought that Pitt might take a step back after losing almost their entire core. Not on his watch. Nick Kaczmarek’s story is an interesting one. Coming in to Pitt as a high school player from Bethel Park, Nick did not play with the A team his first year to increase his leadership and focus at the big fish, small pool stage. 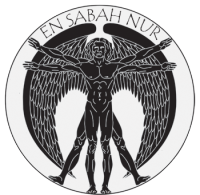 However, after a year of playing with B, Nick entered the Sabah squad in 2005-2006 as one of the most solid defenders for Sabah, and a valuable lefty offensive player. His role in the offense was top of the stack, that year. Nick Kaczmerak became a pillar for the Defense. More importantly, Nick’s strategic creativity was invaluable as Nick became Captain of the team in the 2007-2008 and 2008-2009 years and truly forged the bridge between the Old School and the New. The ability to maintain a great college team going through transitions of both mentality and roster is very difficult, very few teams can attest to a string of National appearances like Pitt, and it is only manageable through great leadership and passion like Nick demonstrated for the two years of his captaincy. Nick Kaczmarak graduated with a degree in English and Education, and is currently teaching at a charter school in Pittsburgh. Worthwhile to mention are his contributions to PHUL, as coach of North Hills for multiple years and of Impulse since 2004-2005.